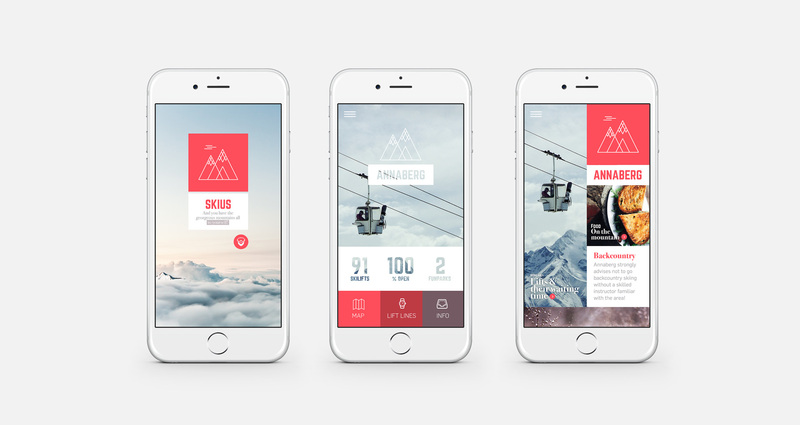 App Design which combines beautiful content and simplicity. 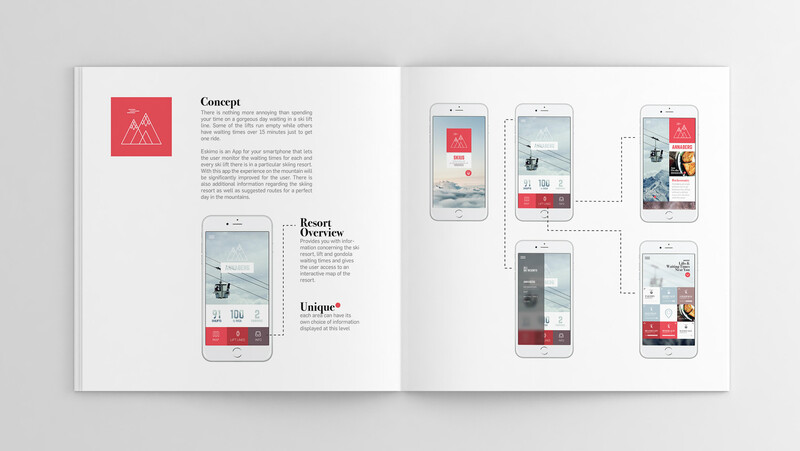 Treating content as our hero enables us to show information in a magazine like style. 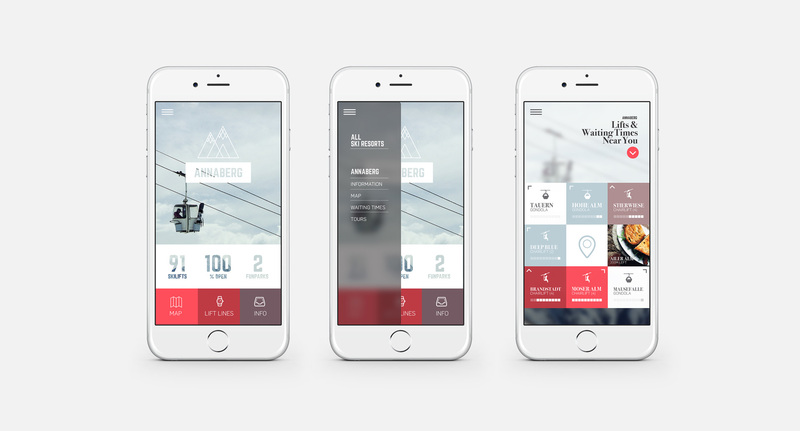 Useful data such as lift information in combination with status about waiting times gives the user the power to decide in real time where to go and where there are fewer people on the mountain. 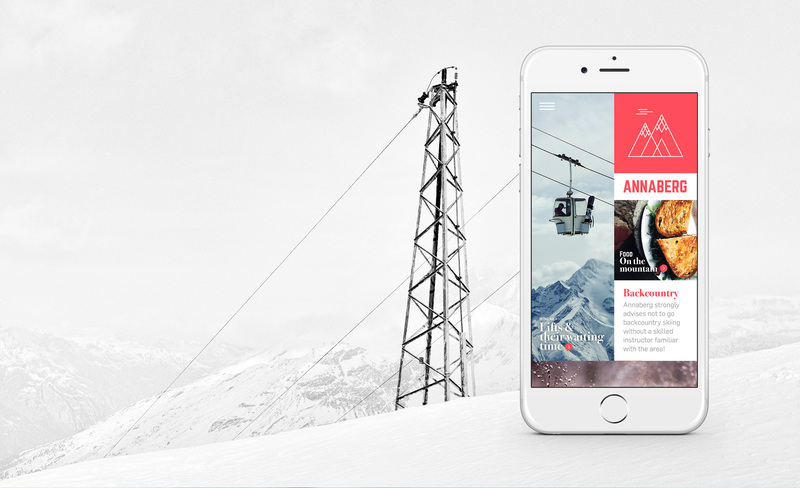 In addition to waiting times the user also gets information about the skiing resort, the restaurants, bars and hidden gems as well as useful weather and slope information.